Today, a very fun package arrived on our doorstep all the way from Japan. 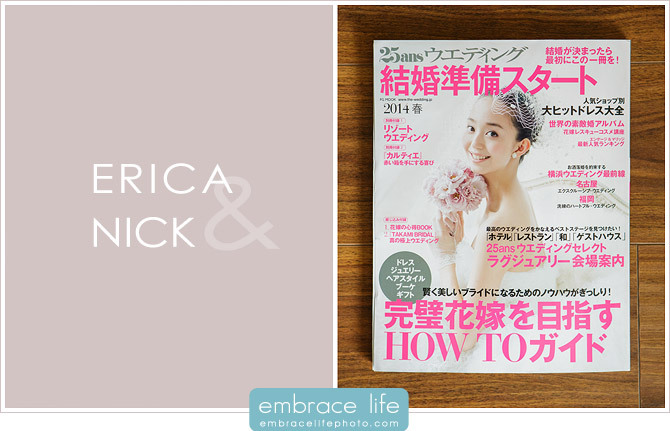 It contained two beautiful, glossy magazines featuring our photography of Erica and Nick’s gorgeous wedding at the Four Seasons Westlake Village. 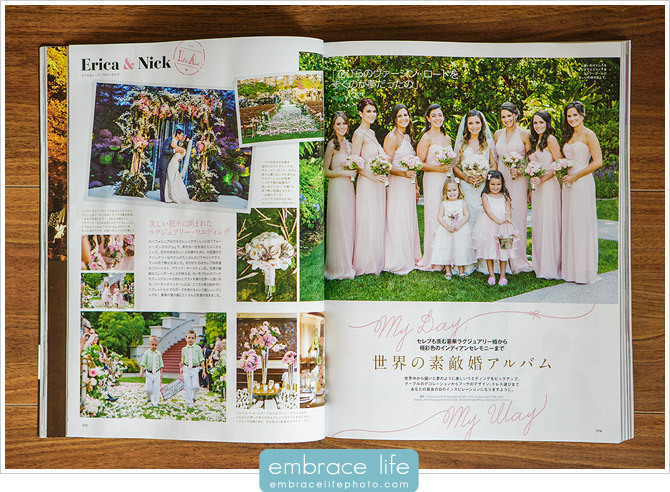 25ans Wedding is a high-end bridal fashion magazine published in Japan, and they’re big fans of Brad Austin Imaginative Florals, with whom we were honored to work with on Erica and Nick’s wedding, along with the incredible Stacy Porras of Porras Wedding Consulting. Eventually, we’ll have a full post of their wedding along with a list of the entire team that made this wedding so spectacular, but in the mean time, here’s the magazine! 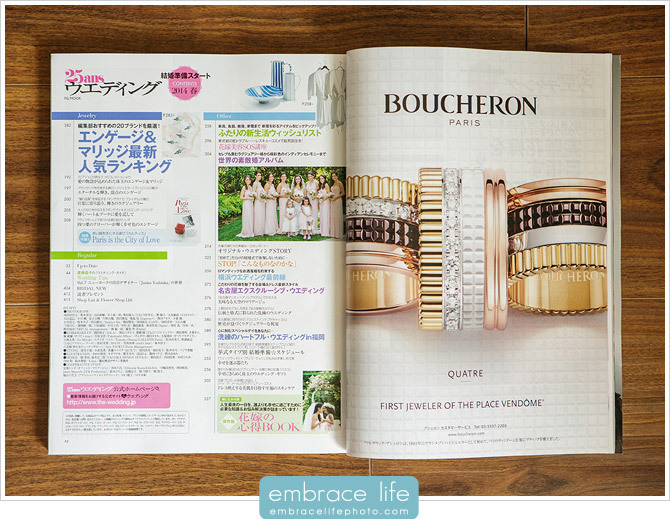 A small version of our photograph of Erica and her bridesmaids was featured on the index page of the magazine. The main magazine feature is a two-page spread showcasing the romantic garden style of this wedding, including lots of Brad’s amazing floral design. Check out that chuppah! We look forward to sharing more of this incredible wedding (hopefully soon)!